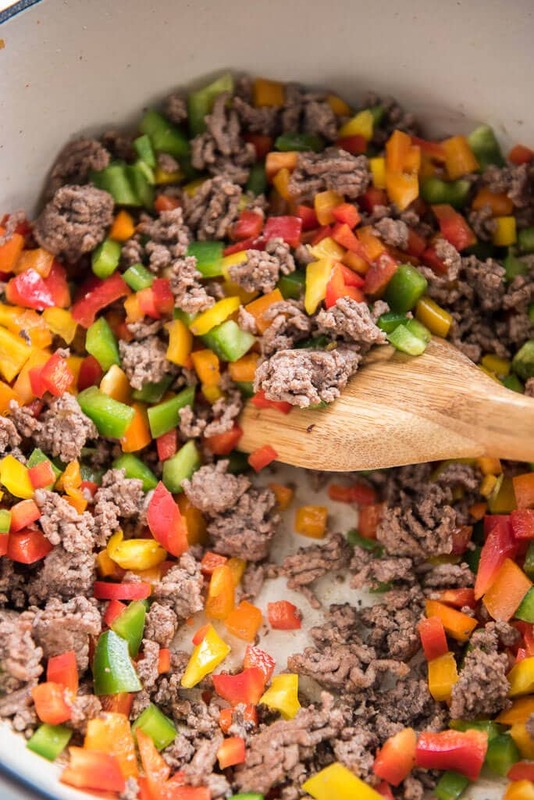 Love stuffed peppers but not a fan of the extra work? 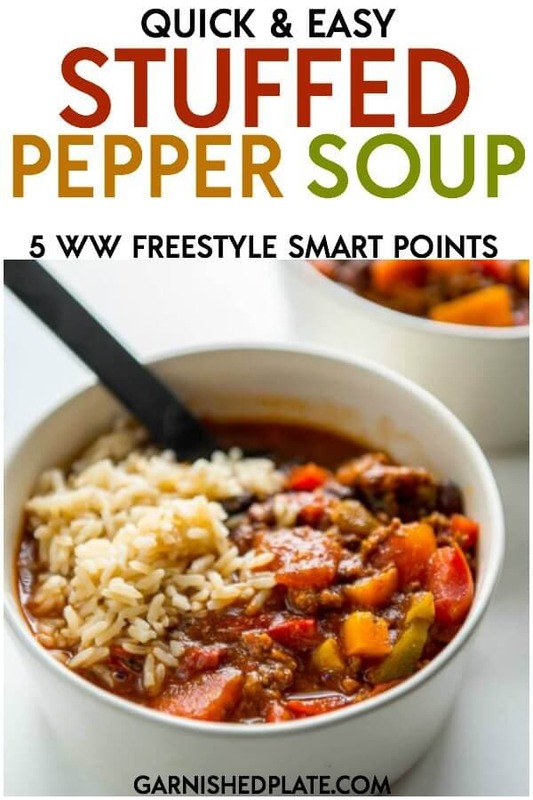 How about this quick and easy stuffed pepper soup instead? All the delicious flavors you love in about 20 minutes! If you struggle to get your kids to eat more veggies, or maybe you even struggle to get yourself to eat more veggies, one delicious way is to make stuffed peppers! Stuffed peppers are sweet, savory and all around delicious and so fun to make and enjoy. 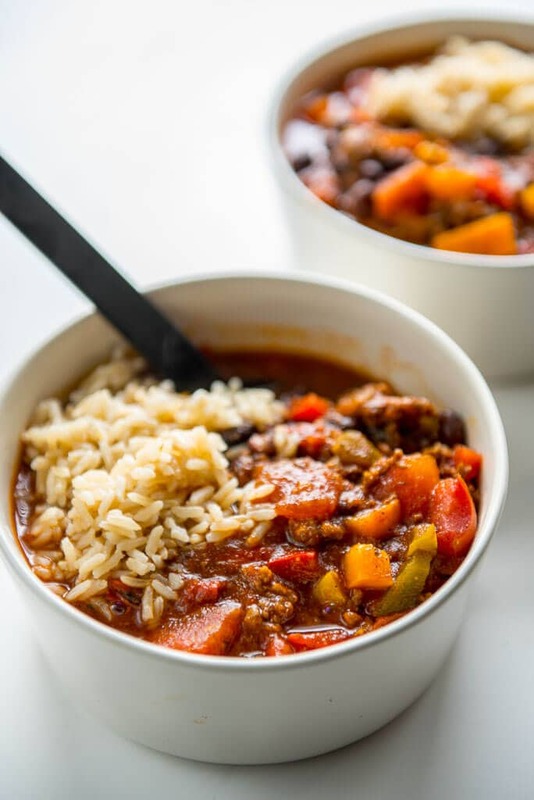 They can be a bit of work though, so the next best thing which is so tasty it may just be even better is to turn those peppers into this Quick and Easy Stuffed Pepper Soup!! 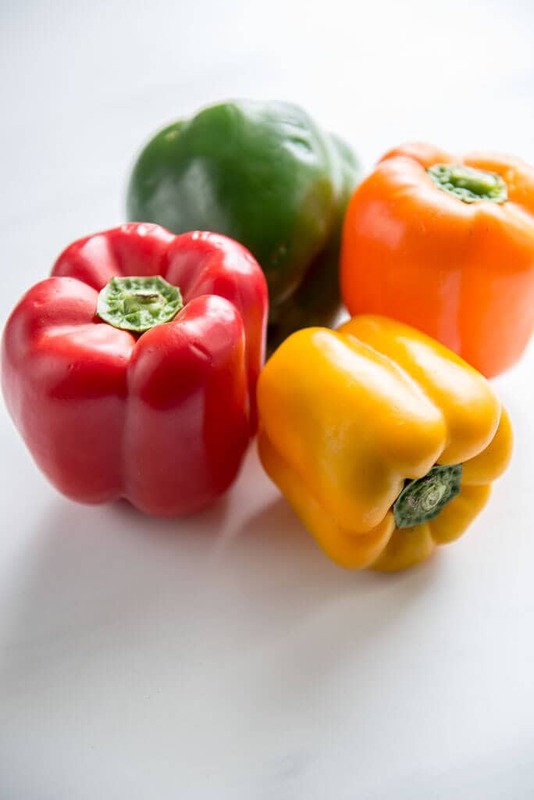 I love grabbing one of each color pepper to use because colorful food is so beautiful and beautiful food is so much more fun to eat!!! If your more of a visual learner and want to go really pro with your veggies, check out this video tutorial! 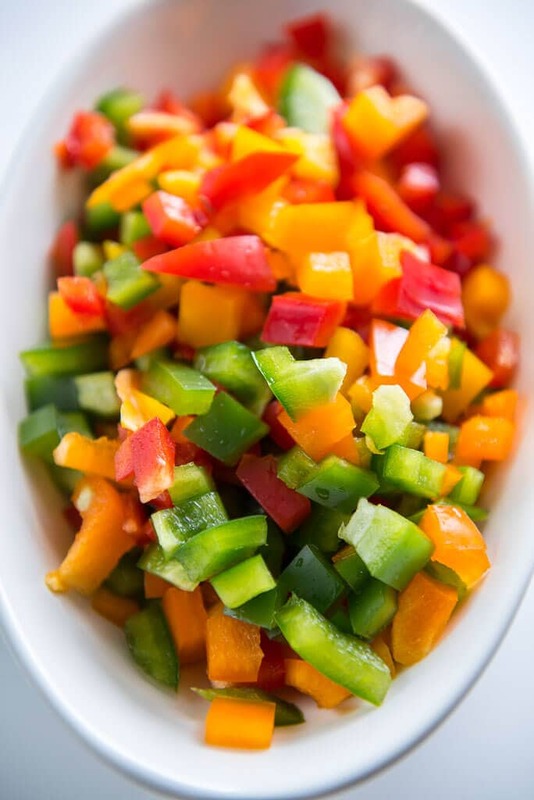 Soon you have a gorgeous bowl of chopped peppers and the rest of the soup comes together in no time!! 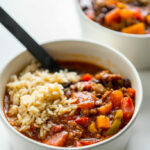 I used my 6 quart dutch oven to make quick work of this meal! How else can I make stuffed pepper soup? 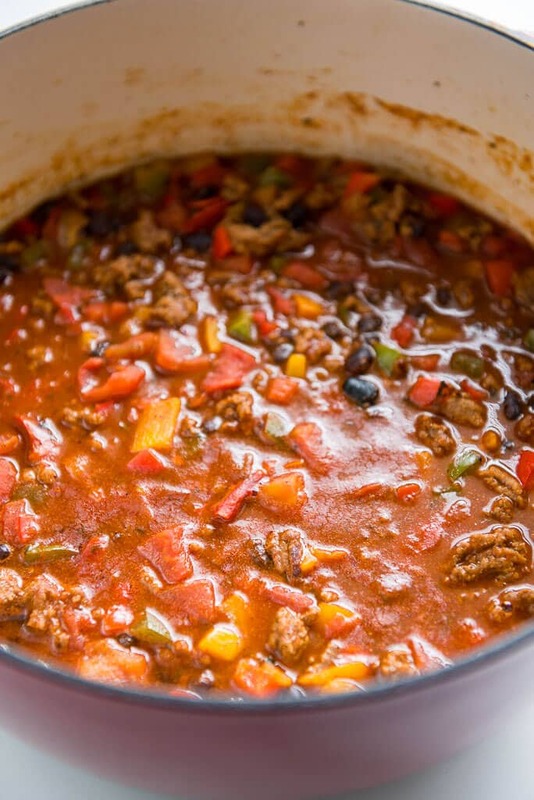 A dutch oven is a great investment for making delicious soups and other meals quickly and all in one pot! You don’t have to spend a fortune, either. Here’s the one I have and use every week in my kitchen!! I love stuffed peppers but they can be tedious to make. 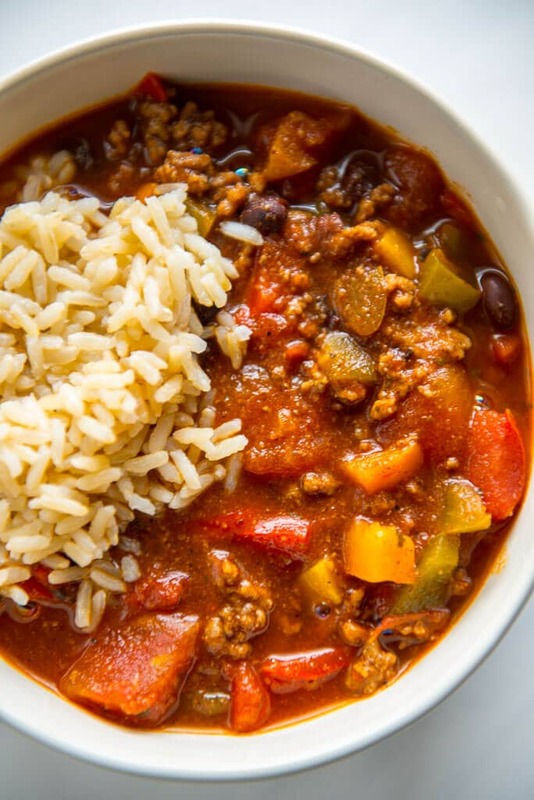 This is a great recipe to get all the flavor with none of the work. I'm all about making things easier ;)! Thanks Sharon! This looks soooo delicious! My husband would absolutely love this dish. He's a huge stuffed peppers guy. I'm going to have to make this for sure. Yum! Thanks Cassie!! I know you will both love it!! I love stuffed peppers! This soup looks fantastic! Yum this looks amazing! The struggle is real with getting everyone to eat their veggies! Thanks for sharing!